Smoke Rise Country Club Tennis Shop is a full service tennis shop that offers a wide array of instructional programs for the membership such as clinics, leagues, and individual lessons. The shop is fully stocked with re-stringing services offered and friendly staff to assist you. 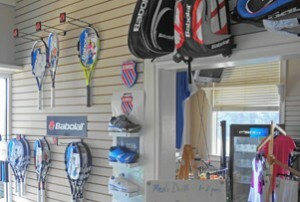 We carry custom selected racquets for our members free to demo with the purchase of a racquet.